YAMAHA PRESS RELEASE: Factory-supported and bLU cRU racers are leading their respective classes for the 2018 season, piloting Yamaha’s pure sport Side-by-Side (SxS), the YXZ1000R, and the industry’s most technologically advanced sport ATV on the market, the YFZ450R. Yamaha’s bLU cRU racing support program, offering championship bonuses to registered racers competing in YXZ or YFZ450R models, has extended support to the new Lucas Oil Midwest Short Course League, which held its debut race at Crandon International Speedway this past weekend. Yamaha now has a $15,000 Yamaha bLU cRU championship bonus for the Lucas Oil Midwest Short Course League, replacing The Off-Road Championship (TORC) Series after its cancellation for the 2018 season. 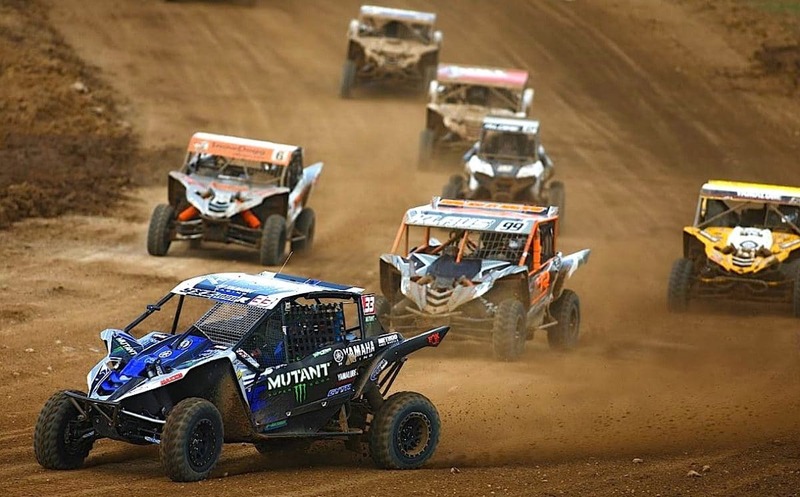 The new seven-round series runs through September 2, with races held at Crandon International Off-Road Raceway in Wisconsin, ERX Motor Park in Minnesota, and Bark River International Raceway in Michigan. 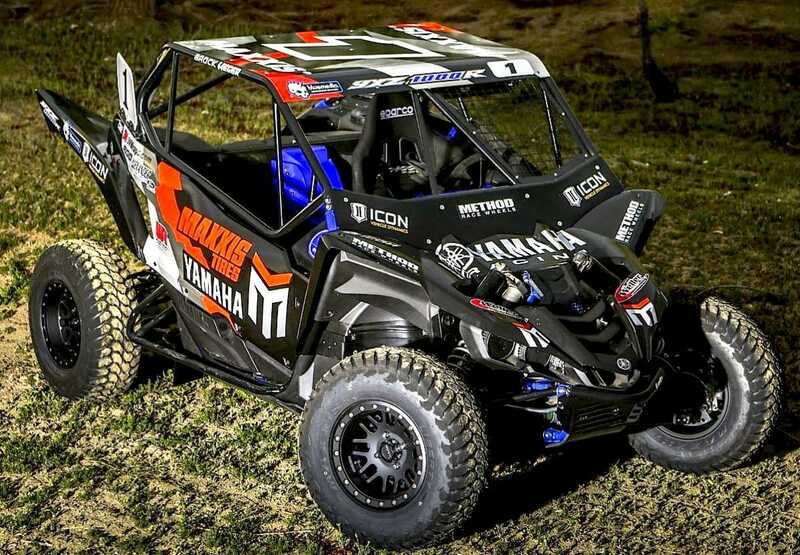 The Midwest League will feature Yamaha’s factory-supported racer, multi-time Pro 2 and Pro 4 truck champion, and last year’s TORC Series Pro Stock UTV champion CJ Greaves in his Mutant Super Soda / Maxxis / Yamalube / GYTR / Greaves Motorsports YXZ1000R. After an extremely wet and muddy start to the series this past weekend, CJ Greaves kept his composure through an array challenges and stiff competition to secure back-to-back Pro Stock SxS wins in his YXZ1000R. 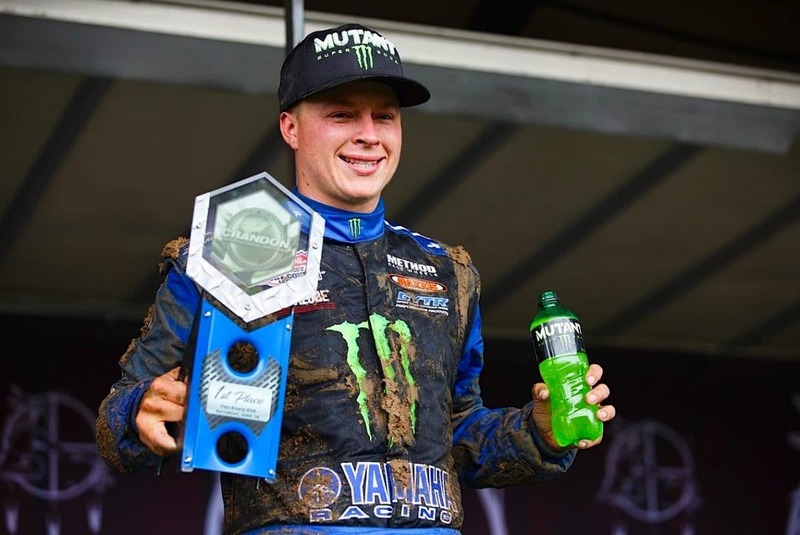 For the national circuit of the Lucas Oil Off-Road Racing Series (LOORRS) in the Production 1000 UTV class, JM2 / Maxxis / Yamaha factory-supported racer Brock Heger, and Weller Racing / bLU cRU racer Jason Weller are currently second and third, respectively, in the series with the YXZ1000R. In the first three of 12 rounds, Heger is six points behind first place with 152 points, finishing on the podium in every round, with one first and two third-place finishes. Weller follows in third overall with 131 points, and a second-place finish. In the Lucas Oil Regional Off-Road Series (LORORS), Paul O’Brien is making a strong start in Arizona, capturing three-straight wins and a 34-point lead in the opening rounds with his #911 Weller Racing / FOX Yamaha YXZ1000R SS (Sport Shift). 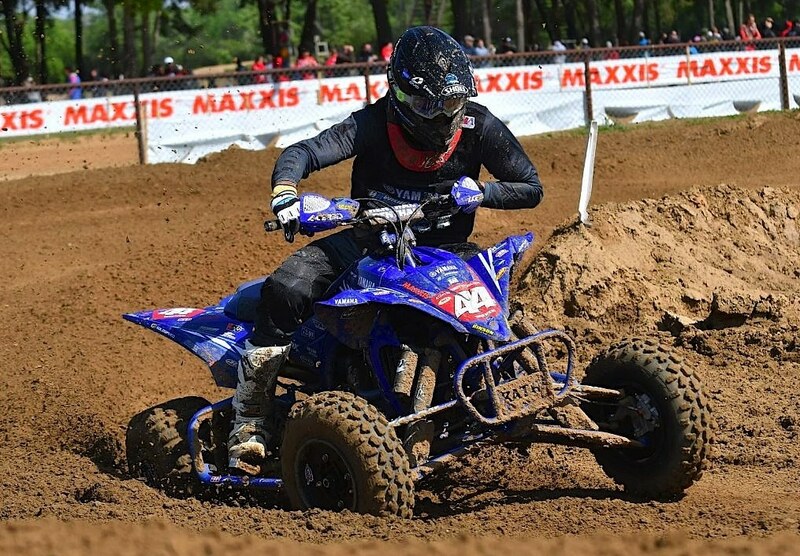 In the Southern California (SoCal) LORORS series, bLU cRU racer Keith Brooks holds third overall with 138 total points in three rounds with his #942 Walker Evans Racing / Aim Sports Data / NRG Off-Road / Yamaha YXZ1000R. 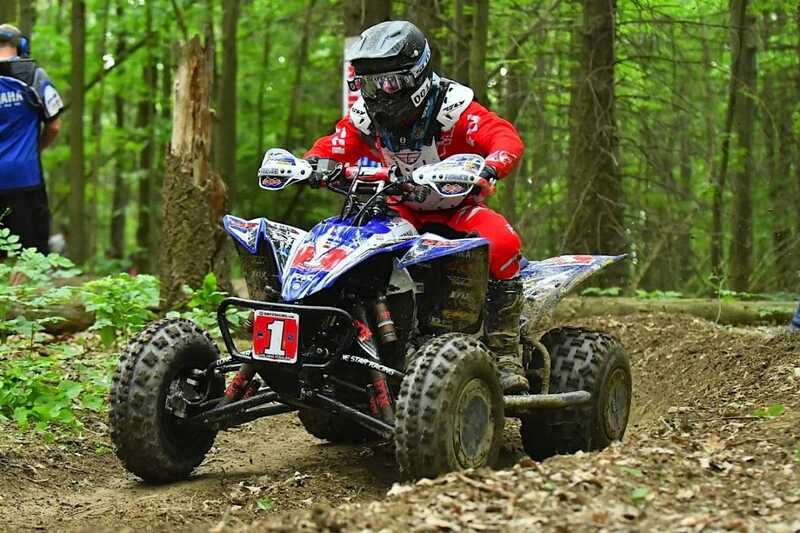 Setting up for another successful year, Yamaha factory-supported racer and three-time GNCC Pro-class champion Walker Fowler continues to chase his fourth-straight XC1 Pro ATV championship on his WFR / GBC / Fly / Moto-Xperts / Yamaha YFZ450R. With 175 points and five first-place finishes, Fowler leads with 35 points after seven rounds in the 13-round series. Looking to recapture the ATV Motocross (MX) championship title, Yamaha factory-supported racer and five-time AMA Pro ATV MX champion Chad Wienen is battling for the lead after seven rounds aboard his Wienen Motorsports / Maxxis / SSI / Walsh / GYTR Yamaha YFZ450R. Only three points behind first place, Wienen has two first-overall finishes, and has yet to end up less than second place in a race this season. In addition to the new Lucas Oil Midwest Short Course League, Yamaha’s bLU cRU program will also award $15,000 championship bonuses to first place finishers driving a YXZ1000R or YXZ1000R SS in the national Lucas Oil Off-Road Racing Series and GNCC UXC1 Pro UTV classes, and $5,000 to qualified racers in Best in the Desert (BITD), LORORS SoCal, LORORS Arizona, and WORCS. Qualified racers aboard the YFZ450R racing in the ATV MX Pro class and GNCC XC1 Pro ATV class receive $10,000 in championship bonuses. Yamaha’s bLU cRU program offers racing bonuses to registered racers competing in select classes aboard Yamaha’s 2017 or newer YXZ1000R, YXZ1000R SS or YFZ450R models adorned with Yamaha and bLU cRU decals. Once approved, racers will receive a reloadable Yamaha bLU cRU debit card and $45 credit on their www.bLUcRUswag.com account for bLU cRU apparel. These racers will also be eligible for the above listed championship bonuses paid directly to their bLU cRU debit card. Pro Eagle Jacks New Design!